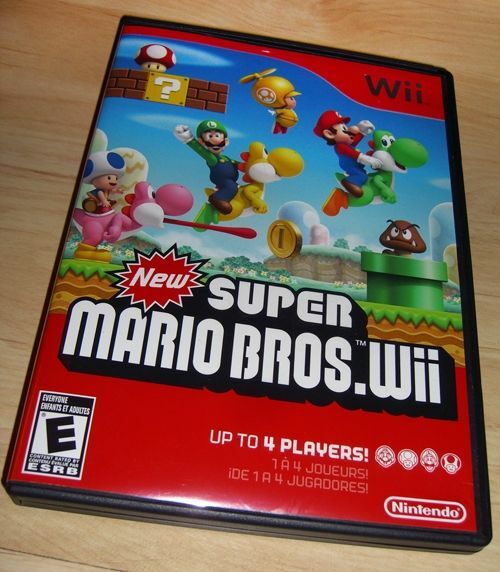 For any die hard Super Mario Brothers enthusiast, the "New" Super Mario Bros. game for the Wii won't disappoint you. It is a classic platformer based on the original Super Mario game. The two dimensional world has that classic platform feel and it throws in enough new power ups (like propeller head helmets and penguin suits!) to keep things interesting. You can play with up to four players which is great fun as you get in each others way and bounce off each others heads. I'm simply having a blast with this one.